Apartments inPalanga "Saule" is a new and irreproachably furnished two-room (48 sq.m.) apartment close to the city centre but constantly surrounded by quietude and cosiness. From there you can reach the sea after an easy and pleasant 10 to 12 minutes walk. Four persons can comfortably rest in this apartment. The territory may be accessed only by its residents. Please find bikes rental in Palanga! © 2009-2017 rentonline.lt. 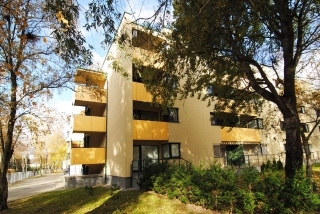 Apartments for rent in Palanga, Nida, Juodkrante.